An Electrical Installation Condition Report is evidence that your electrics have been tested by a qualified electrician and meet the required standards to be safe. Electrical faults may not be visible and so it is essential that you test their safety. 1. Inspections – when your electrician tests to ensure your electrical installations are safe and working correctly and provides you evidence of the results. 2. Check for Wear and Tear – wiring can deteriorate over time with normal use. 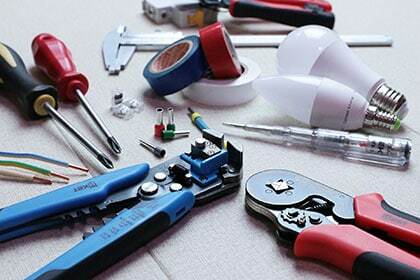 Your electrician will check for any damage and provide a report of their findings. 3. BS 7671: 2008 Regulations – Your electrician will check if your installations meet the standards according to the regulations set by The Institution for Engineering and Technology (IET). 4. Fire safety – Your electrician can identify installations that are operating at high temperatures or that may result in electric shocks.Your electrician will check that you have the necessary earthing and bonding measures in place to prevent hazardous currents. They will ensure there are no live exposed wires that may be dangerous. 5. Evidence – If you are selling your home or renting out your property, you may require a report to show that the building is safe a. If you are buying a property, you may require a report to ensure the home is safe before you purchase. In fact, your solicitor may insist upon the seller to provide electrical installation condition reports before the sale can complete. How Might I Know if I Need an Electrical Condition Report? Fuse board – You may have more than one or one with outdated components, such as; cast iron switches or wooden back. Wiring – Cables and wires installed before the 1960’s use materials that are no longer fit for purpose. Installations/Lighting – You may have lighting or other accessories installed before the 1960’s which lack the basic earthing to prevent electric shocks.